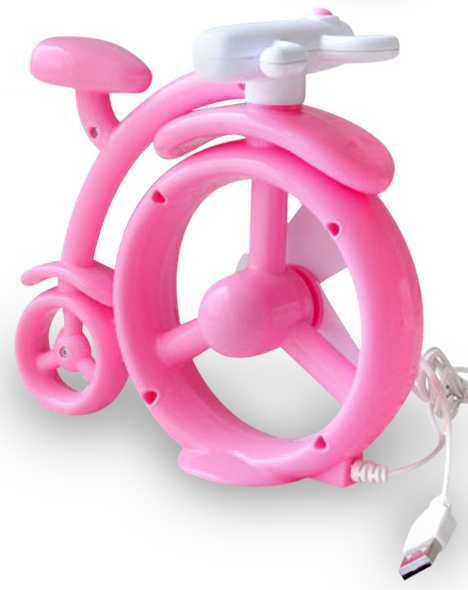 A Man On Bike USB Mini Fan doesn’t look like the kind of thing sold by a By Xiao Ge Living Museum, but that’s their story and they’re sticking to it like your hot sweaty thighs are sticking to that cheap plastic office chair. Curiously, the association of a fan and a Penny Farthing bike amuses nobody but Beavis and Butthead. Farthing Fan, heheh. 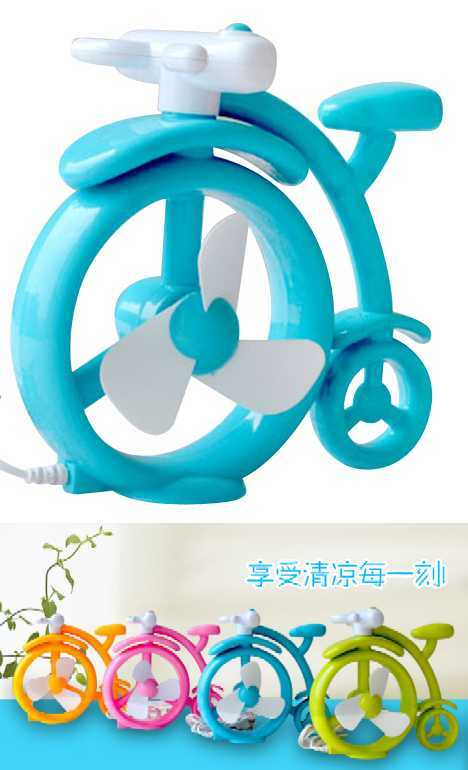 You’d be pressed to find a single straight line on this USB-powered desk fan, so stop trying and get back to work! 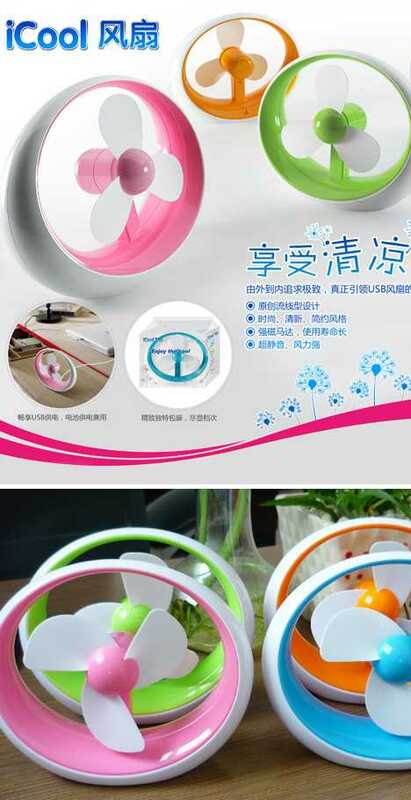 On your break or after you’re fired for goofing off (whichever comes first), check out this cute fan in each of the four available colors (cyan, magenta, leaf green and mango). What can we say about the iCool mini fan, other than it has the most instantly annoying name since Woody Allen’s Lobstermato. The organic, free-flowing design in white trimmed with bubblegum pink, sky blue, lime green or citrus orange is attractive to say the least, so why ruin all that with a name that prompts smirks of derision milliseconds after it’s mentioned? iCool?… thats uncool. Alas, the Second Generation Mini Fan owes more than a little to the first generation of fans… you know, the ones with spinning propeller-type, uhh, propellers. 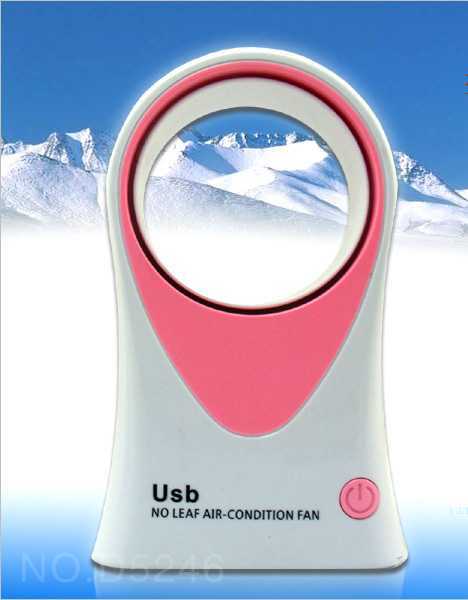 Full props (heh) to Taobao seller Pine Valley Startups Toy Gifts for showing how the AC/fan really works: the AC is via a damp sponge and the “No-Leaf” is more like a “No-See-Leaf”. Same difference, amiright?